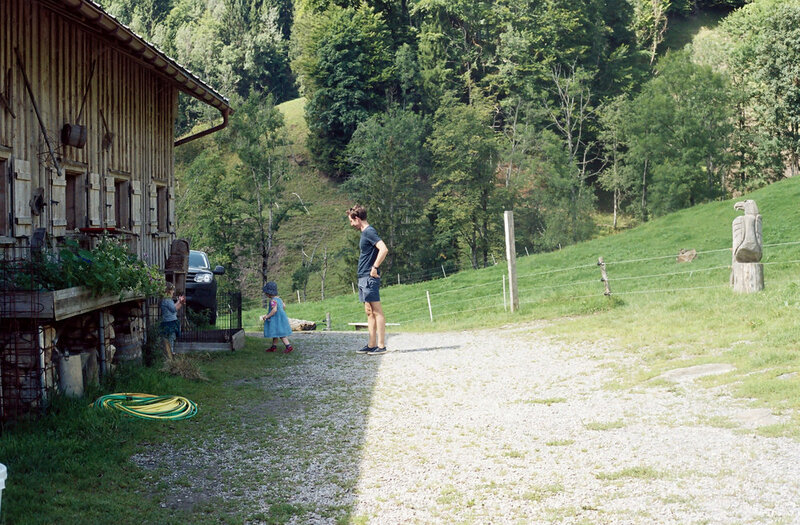 Our Summer holidays brought us to Austria this year. We went with friends and their two kids and it was just so nice to get out of the city enjoy a week on the country side in Austria. We went back to the Bregenzer Wald which we once stopped at over night coming back from Italy. Back then we instantly knew that we had to come back as we really liked the area (particularly the architecture). We were lucky and found a nice apartment to rent, with a big garden (plus herbal garden) in which the kids could run around and check out the chickens. It was a very relaxing week, going for swims in the local swimming pool [where I bumped into a friend from Berlin (! )], cooked lots of food with the kids, ate amazing local cheese (cut of cheese wheels as big as a car tyre), went to an Alm and drank the freshest milk we had in a very long time and just enjoyed the beautiful surroundings. I am sure we will be back.